If you are looking to enhance the appearance of the exterior of your home, then hiring a New London House Painting Contractor to perform our professional and affordable exterior painting services is the way to go. Whether you are interested in placing your home on the market, or simply want to improve the curb appeal DiNardo Painting can get the job done a timely and professional manner. Allow DiNardo Painting of New London, CT save you time and money on your house painting requirements by contacting us for your free estimate and consultation today. We provide timely service, personalized attention, and a perfect paint job that will keep your home’s appearance beautiful for many years. If you would like your new paint job to stand the test of time and unpredictable Connecticut weather conditions, then proper prep work is practically as important as the quality level of paint, as well as the professionalism of the painting contractor. A house that has revived the necessary preparations will greater adhere to a paint project, which means the paint will be less susceptible to pealing and chipping as time goes on. DiNardo Painting performs the proper preparations by cleaning and scraping or sanding the exterior of your home. Any dirt, debris, or rotting wood is discharged, and damaged surfaces will be repaired. This will allow the the fresh coat of paint to successfully adhere to the exterior surface of your home. DiNardo Painting has been assisting New London County residential and commercial property owners paint their homes for over 20 years. 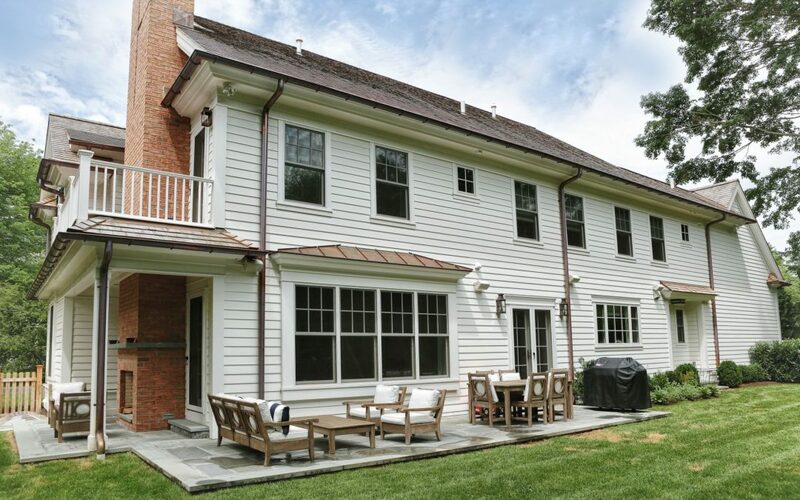 We remain communicative throughout the entire work process to ensure the project is finished within your specifications and budget and you have received the best Connecticut house painting solution for the exterior of your property. Our long lasting exterior painting services will stand the test of time. With every exterior pairing project, we offer free power washing services for your home. Our professional New London house painters will revitalize and revamp your house, using high-quality painting and the best available products. Contact us today to schedule your no-cost estimate and consultation. Based in New London, CT DiNardo Painting LLC offers a full line of interior/exterior painting and carpentry repair services for both residential and commercial clients. We have been providing our painting and restoration services to home and business owners throughout the Connecticut area for almost 30 years. Our service area includes: Lyme, Stonington, Waterford, Ledyard, Colchester, Groton, Norwich, New London, Lisbon, Preston, and beyond!